I must confess. There is a new man in my life. His name is Taylor. He is my Nespresso machine. 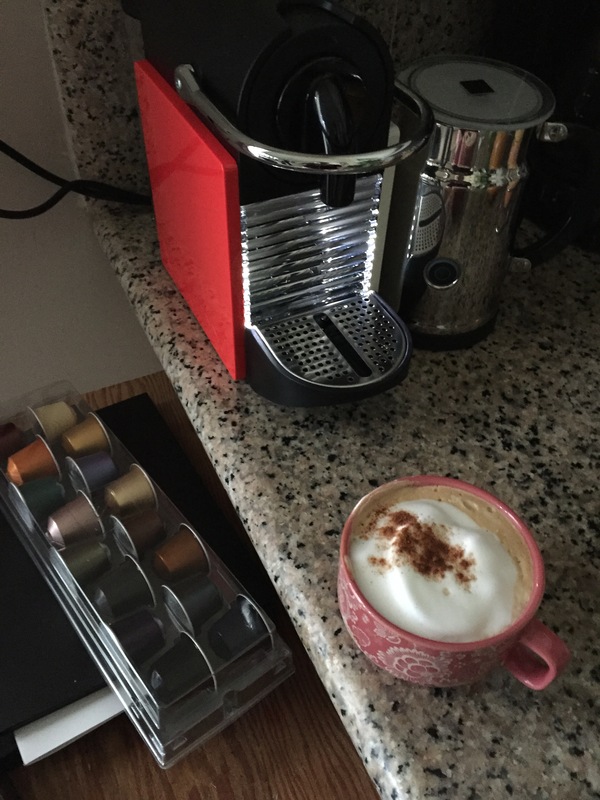 Yes, ladies and gentlemen, this is blog post where I talk all about my unnatural obsession with my coffee machine. Coffee is amazing, so don’t judge me. Taylor isn’t just any coffee machine, he is the most amazing espresso machine. Pair him with the aerocino milk frother, and you have instant lattes, macchiatos, and cappuccinos. Given that I’m all kinds of loopy lately, this little machine has been a lifesaver. I first experienced what I like to call “push-button espresso” on a whim, while walking through a Williams Sonoma store. I was offered a sample from a dubious looking little machine, and, while highly skeptical, I accepted a little cup topped with foam. 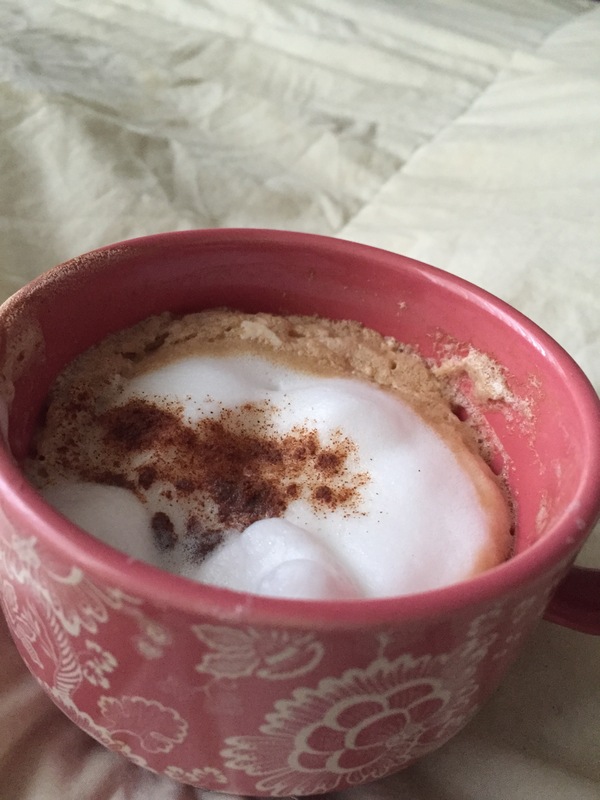 The thought of merely pushing two buttons and instantly having a perfect cappuccino with no mess fascinated me. Afterwards, I quite literally thought about that machine for years. Of course, I stopped myself from impulse purchasing one due to the hefty price tag, and the fact that I would probably abuse it to no end. I saw myself sitting in my kitchen, mixing lattes directly into my mouth. And that’s how Eva would die of caffeine overdose. (It’s funny, when you live alone, you find your mind wandering to how you might die doing something horribly embarrassing, like drowning yourself in espresso or doing jumping-jacks in the shower…) Either that or I would become the most obnoxious person on earth, vibrating around and subsisting only on cappuccinos for sustenance. Luckily, none of those things have happened to me (yet). I’ve been exercising self-restraint with my Nespresso. Sure, there are some days where I make two lattes, but, hey! It’s still less expensive than a daily Starbucks habit! I really can’t say enough great things about it- it couldn’t be easier to use, and there is zero cleanup aside from a quick rinse here and there. I currently own the Pixie Clips model, which features removable, colored side panels for horribly indecisive people like myself. Or, if you’re the kind of person who is intensely into decorating, you now have the option of making your espresso machine match your wooden cabinets or tiling. The entire set-up included large sample packs of the many Nespresso “flavors” they offer (grand crus, if you’re feeling particularly fancy), as well as a recipe book of potential drinks. Any recipe that involves me putting a scoop of ice cream into my morning coffee is A-OK in my book. In all, this company takes its coffee quite seriously. Luckily, Taylor’s in good company in my home. I think we’ll have a long and happy life together.